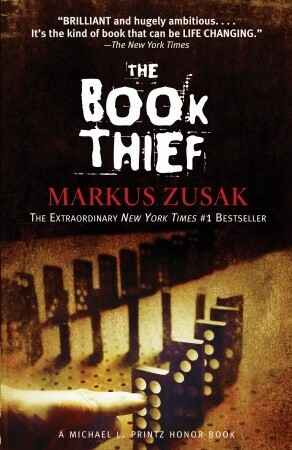 I just finished reading The Book Thief by Markus Zusak. It seems like it took me forever, but to be fair, the only time I get to read is a few minutes before bed each night. Here is the synopsis of the book from the Random House website. I enjoyed The Book Thief, but it didn't blow me away like it obviously did for other people. Maybe my expectations were too high since I had heard how great it was? I did appreciate the personal connection I felt to the locations in the book though. When we lived in Germany we were able to visit the sites of old concentration camps and learned a lot about Nazi Germany. Since this was written for juveniles, hopefully the story can teach them about the Holocaust and reach them in a way that their history book cannot. I would definitely recommend this book for a younger reader, probably high school age.